We carry a full line of industrial films and plastic sheeting for a wide variety of uses in industry and commerce. We carry plastic sheeting from 1 mil thickness to 10 mil thickness and a great variety in between. 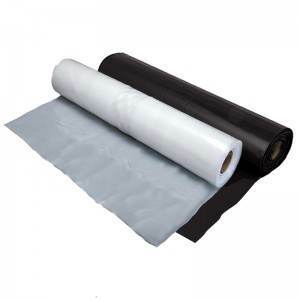 We also carry a great deal of specialty plastic sheeting such as adhesive film, static cling film, land fill covers and residential and commercial wrap.